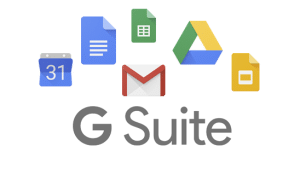 If you are looking for an expert team to help you migrate your Gsuite or Gmail to Office 365, Wahaya Technology Solutions helps all businesses in the Baton Rouge area with their email migrations in Baton Rouge. We will assist with all of your data and document migration including Google Docs, Google drive folders, permissions and configure in Office 365 on the desktops and mobile of each employee. We close with professional training so your team is ready to go with their new products and technology. Many clients buy direct from Microsoft as it is very to do online, we encourage you to work with us to help buy the correct products, not over buy and get our top level support. If you have already purchased Microsoft Office 365, we can help with migrating your account to ours so we can manage it for you. Some of the products can be very complex to get configured correctly. If you are looking for support with a fresh migration or repairing some issues you are having. one thing we tell clients is to create your list of issues and solutions you want resolved, then call us for a no cost consult and we will give you a quote on time and expectations to get the work done. We have aftercare and on-going support options as well.